After falling for several years, knife crime is sadly on the rise again in the UK. 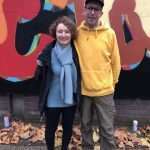 With that chilling fact in mind, it seems more poignant than ever that we highlight the great efforts and work of Ben Eine working along side The Tom Easton Flavasum Trust last week as he�unveiled a huge new piece which shouts the message loud and clear for all passing by to see -�STOP KNIFE CRIME. 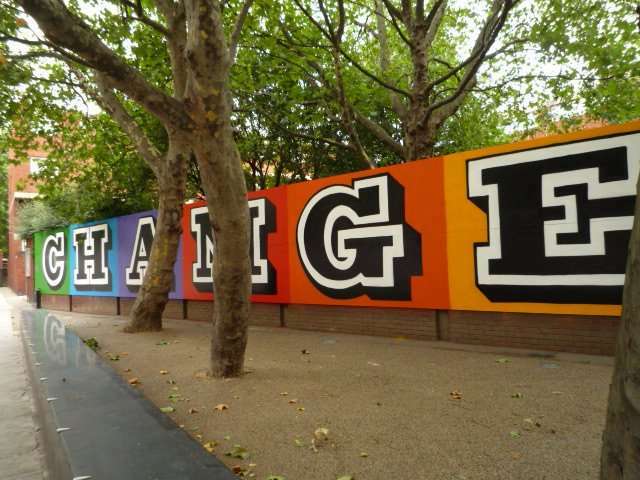 Ben Eine says “The situation with knife crime is just getting worse and worse and people have had enough. More has to be done to prevent it. 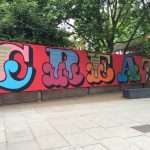 This has to stop.” Following the unprovoked fatal stabbing in 2006 of 22 year-old youth worker and musician Tom-Louis Easton, nearly next to the Old Street wall, Tom’s mother�Dolores Altaras�and his family founded the�Tom Easton Flavasum Trust�in 2007 to try reduce the number of young people carrying knives and steer them away from knife crime by supporting projects that use the arts. 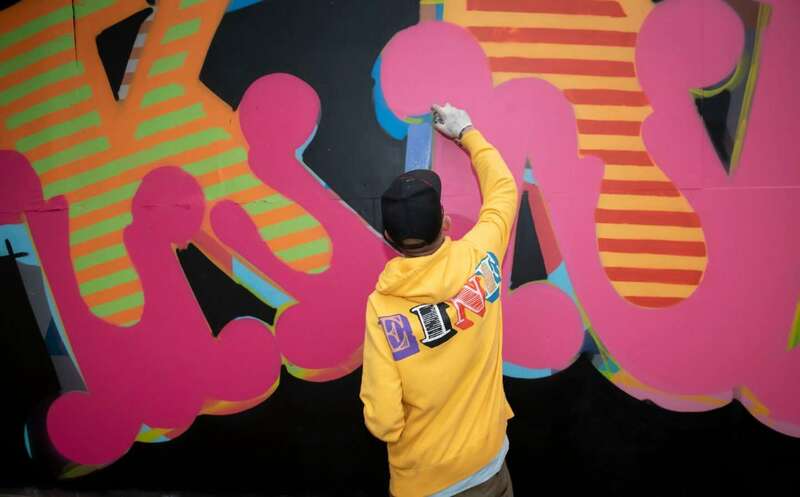 With�no commission fee, Eine agreed to paint a strong message on the 70 by 8 foot wall for the Flavasum Trust, which he has continued to repaint for a decade.